The city of Cannes has three tourist offices; two of them are in the main area of the city. 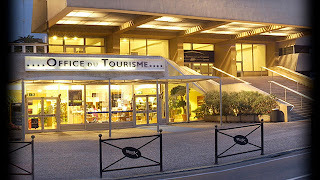 One of the tourist offices that I mentioned in a previous post is connected to the Cannes Train Station – Gare de Cannes. You will easily find this tourist office as it is right outside the train station doors and is open all year long. The hours for this location are: Monday to Saturday from 9am–1pm and from 2pm-6pm. Note - This office is closed as of August 2012 due to renovations of the train station. The second tourist office is at one end of the Croisette, on the waterfront at the Palais des Festivals building or 23 rue des Etats-Unis. 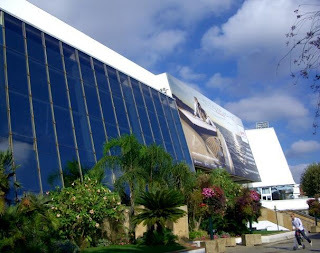 You can't miss this building either as its big, white, majestic with lots of blue glass. It’s also where they film all the celebrities going up the red carpet during the International Film Festival. Actually if you continue going to the right of the red carpet area but along the sidewalk you will immediately see on your left hand side the Office du Tourisme. Inside, like the office next to the train station, there is a number of staff who can help you with any questions you might have. There are also different information areas set up so that you can just pick up whatever hard copy information you might need, you can buy some souvenirs and they even have a small art gallery near the back filled with local artists work. When I was last at this tourist office, there was a LGBT Cannes Rainbow station to the right once you walk inside filled with information on the local LGBT community. For this office, the hours of operation are: Everyday from 9am-7pm. November to February from 10am-7pm. July to August from 9am-8pm. Hours of operation are: All year, Tuesday to Saturday from 9am-12pm and 2:30pm-6:30pm. In August they are open Tuesday to Saturday from 9am-12:30pm and from 3:30pm-7pm. 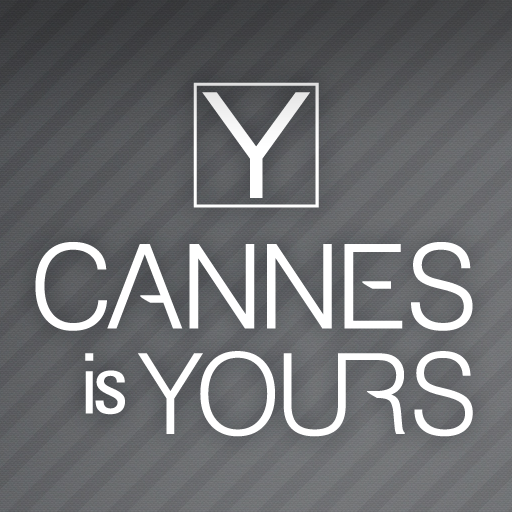 I would also suggest if you have a Smartphone to download the Cannes Is Yours App as a helpful guide. 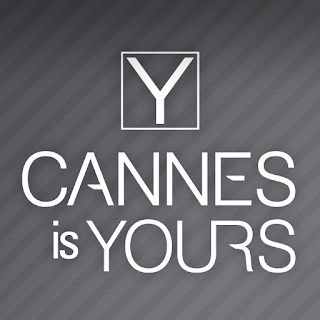 AppBrain just go to the search box and type in “Cannes Is Yours” and you will find the app there to download. Any of these tourist offices may be a good start if you are trying to find your way around upon first arrival to Cannes. I have always found the people working in these offices to be very helpful and full of information. And of course I will be sure to continue with all kinds of information on my end as well. A special Thank You to Frédérique.